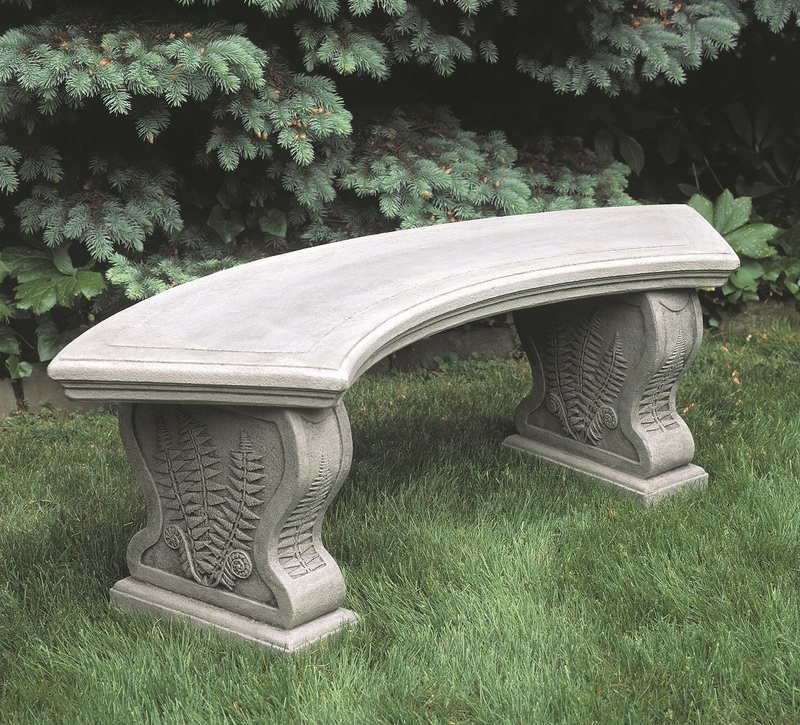 Our traditional Curved Woodland Ferns Bench features classical styling, with decorative foliage detailing in the cast stone leg base. Nestle one in a secluded garden nook or group two or more around a central landscaping fire or water feature for a cozy outdoor seating solution. L 54" W 16 H 18.5" | 93 lbs.